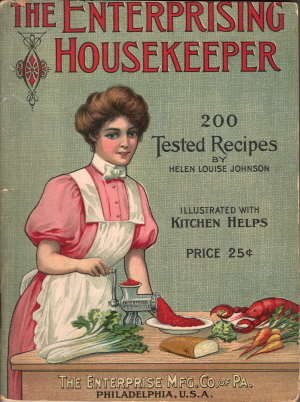 Here is page 72 from the vintage booklet The Enterprising Housekeeper from the sixth edition (1906). No. 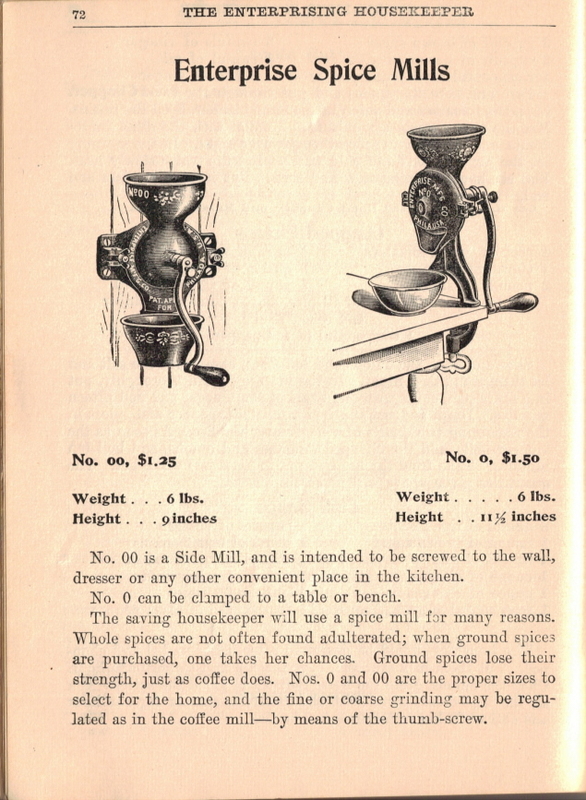 00 is a Side Mill, and is intended to be screwed to the wall, dresser or any other convenient place in the kitchen. No. 0 can be clamped to a table or bench. 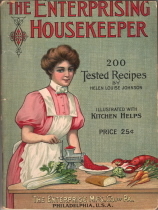 The saving housekeeper will use a spice mill for many reasons. Whole spices are not often found adulterated; when ground spices are purchased, one takes her chances. Ground spices lose their strength, just as coffee does. Nos. 0 and 00 are the proper sizes to select for the home, and the fine or coarse grinding may be regulated as in the coffee mill–by means of the thumb-screw.